I wrote this for a client but we had a change of plans. 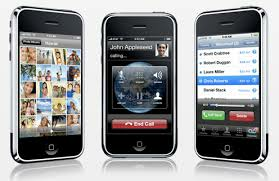 Apple continues to make new records with its latest version of the ever popular iPhone line. Unless you’ve been in total media blackout you probably know about the release of the iPhone 3G on July 11th and the good reviews and price drop it has received. Starting at just $199 for the 8 Gigabyte version and $299 for the 16 Gigabyte version, the iPhone 3G is more affordable than ever. It has better call reception and data transfer thanks to the new 3G broadband network and introduces new features like Exchange Server support, MobileMe support, improved email features and the usual great music, internet and video experience expected from the iPhone. C-net editors gave it an 8.3/10 and C-net users gave it a 6.9/10 rating. Very likely due to price subsidies by Apples partners and affiliates the price for the Apple iPhone now starts at just $199 making it very attractive for gadget aficionados and people in the market for a high end phone. The shape has stayed largely the same and iPhone 3G now has many features found in corporate handhelds like the Blackberry and Symbian like a GPS, exchange server support and enterprise messaging. For the price and feature set it is now hard to find a more affordable Smart phone in its class. Some more notable software updates include the Safari Web Browser and the App Store where you can access, download or buy applications like Enigmo, AIM, Facebook, Ebay Mobile and much, much more. Its integration with Microsoft Exchange Server is seamless and very easy to use but Apple’s MobileMe contact and address service may still need some tweaking because it sometimes has to be restarted. Music and Video features are still the same high quality and the GPS tracking is fast and easy to use thanks to the 3G broadband internet. Available at AT&T and Apple stores the iPhone still does not support Bluetooth or have video recording but the battery life is pretty generous. Apple released the battery specifications as 8 to 10 hours for 2G calling, 5 hours for 3G calling, 7 hours for video and 24h for music – battery test have shown the numbers to be pretty accurate or slightly higher. The call quality is still good but naturally the 3G support is probably unavailable in remote areas but a basic connection is still possible there. Its basic 2 Mega pixel camera still has no flash but the picture quality appears to have improved somewhat. Apple is also fortunately allowing customers who purchased its 2.5G phone within the last 3-4 months to swap it for the 3G version at further charge. Latest news reports do show that quite a few owners are also experiencing boot failure and crashing problems with some of the 3rd party App Store applications so this might be a concern. Overall however the iPhone 3G seems to be getting all the buzz in the smart phone market right now and with good cause because it is finally starting to approach the features found in other higher end enterprise phones.